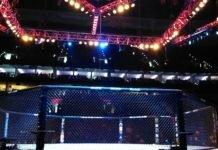 While we may not currently know where UFC 236 will take place, we do know when the fourth third pay-per-view of the year from the promotion will happen. 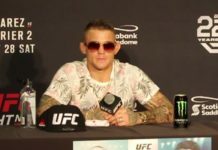 Based on its mid-April date, who could be headlining UFC 236 this spring? Many of the UFC events taking place in the first quarter of 2019 are filling-out. The ESPN Era has officially begun, we’ve been treated to a superfight, and a pay-per-view was even canceled. Soon, second quarter events will begin to take shape as well. 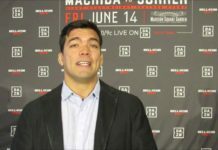 Events like UFC 236 on April 13. 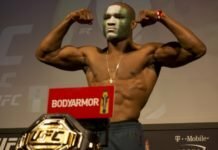 With those title fights taken, and more likely to come, what’s left for UFC 236 in April? Before we break down who’s available, there are several champs we’re fairly certain we won’t see fighting at UFC 236 in April. 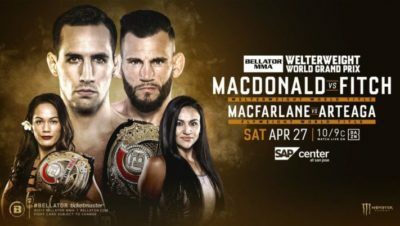 Like flyweight champion Henry Cejudo and 135-pound title-holder TJ Dillashaw, who main evented the promotion’s debut on ESPN+ in mid-January. The fight only lasted 32-seconds, so a quick turnaround for either, particularly Cejudo, wouldn’t be the craziest thing to happen in the UFC. Considering the options available, it doesn’t look like the promotion will need to worry about such a situation. Strawweight champion Rose Namajunas will be busy training for her next title-defense throughout the spring. That’s because she’ll be facing Jessica Andrade in Brazil at UFC 237 in May. We’re going to count out welterweight champ Tyron Woodley, too. He’s fighting Kamaru Usman (not Colby Covington) at UFC 235 in March. Oh yeah, Robert Whittaker is probably out of contention as well. He’s fighting Kelvin Gastelum in Melbourne at UFC 234 in February. 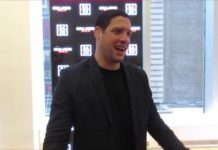 The promotion has plenty of title-holders in interesting situations if they want to get creative with UFC 236. 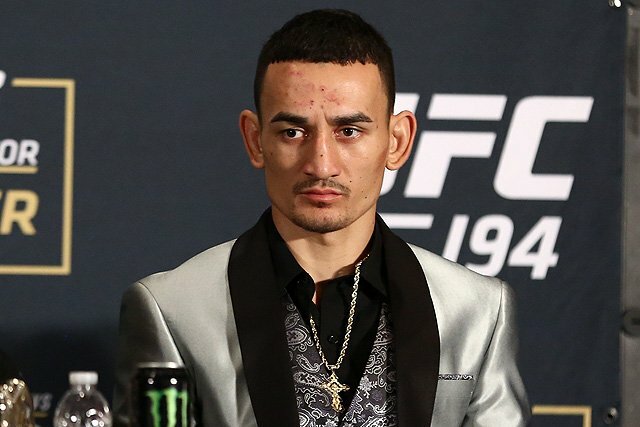 Featherweight champ Max Holloway might be the clearest example of that. 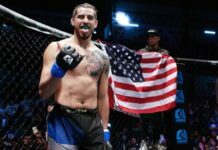 Should he choose to continue his incredible run at 145-pounds, potential matchups with Renato Moicano, Alexander Volkanovski, and Frankie Edgar all get our attention. 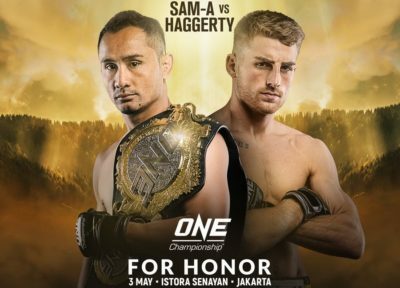 If 2019 feels like the right time for the Hawaiian to move fo 155-pounds, with or without the featherweight title, the options are even more plentiful. 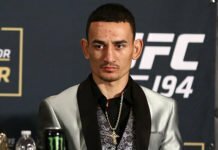 We’d pick Khabib Nurmagomedov or Tony Ferguson (for an interim title? ), but it’d be hard to hate Holloway getting matched up with any of the top-tier lightweight contenders. Nurmagomedov’s future is uncertain as well. But, for different reasons. 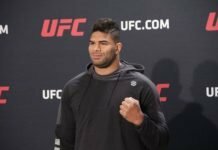 He’s scheduled for a hearing with the Nevada Athletic Commission in late-January, following his post-fight antics at UFC 229. 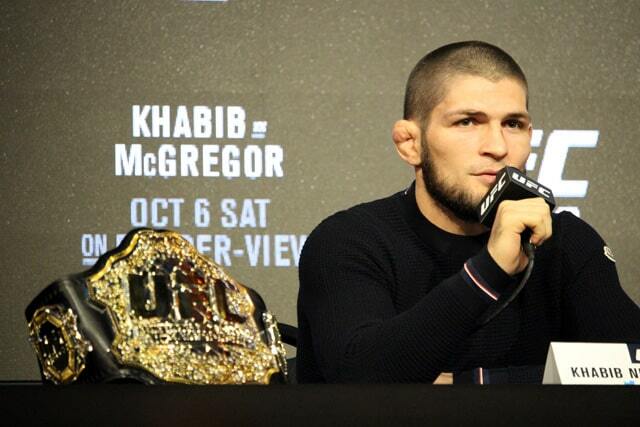 Depending on the outcome of the hearing, Khabib could be in-play for UFC 236. If he is, there aren’t many wrong choices for the promotion. The long awaited bout with Tony Ferguson would be a fun way for the MMA Gods to mess with us once again. But Conor McGregor, Holloway, or Georges St. Pierre all sound just fine. Despite their lack of titles, anything involving either McGregor or GSP could headline any UFC PPV. But guessing the route either fighter will take to their 2019 UFC debuts is a fool’s task. As of now, neither seems like a legitimate option for UFC 236. But if they were, they’d be immediately atop the card. So would heavyweight champion Daniel Cormier. The problem that he has that those mentioned before him don’t: the lack of a number-one contender. He’s defeated the top two current contenders, and the third is Francis Ngannou, who’s slated for a bout with Cain Velasquez in February. UFC 236 takes place a week after WrestleMania 35. What that means for the alleged return of Brock Lesnar remains to be seen. He’s being tested by USADA, while appearing on WWE PPVs and Raw from time-to-time. If there’s any time for a Cormier-Lesnar title match, it’s now. But UFC 236 might be too soon, with sometime in the summer seeming more likely. The other, simpler choice, would be for Jon Jones to move-up a weight class and face Cormier for a third time. 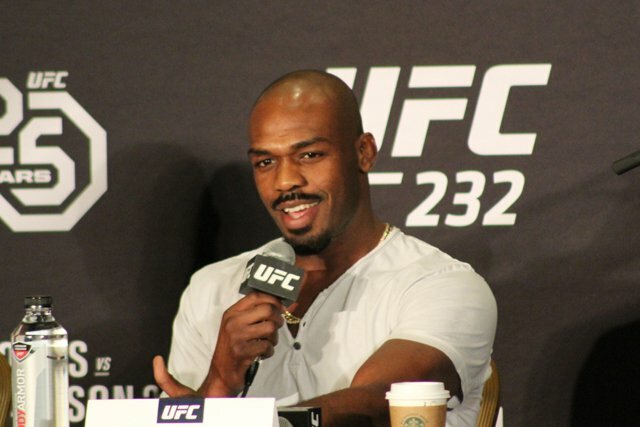 Following his win over Alexander Gustafsson, there was more talk of Jones defending his new(?) 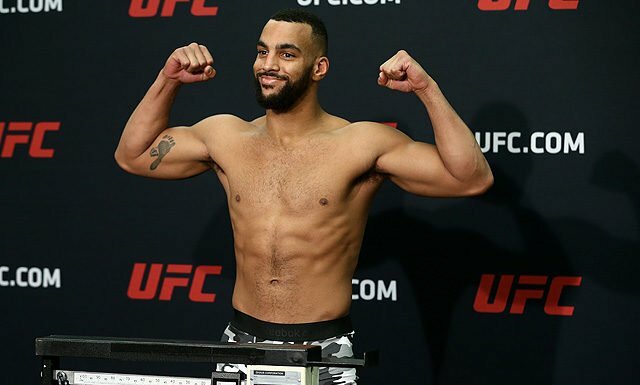 light heavyweight title at UFC 235 against the streaking Anthony Smith. 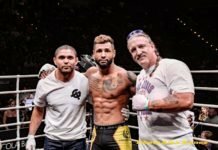 According to Dana White, all Jones needs is to be licensed by NAC in late-January and the bout with Smith will go ahead. As we know, nothing with Jones is ever straightforward. Even so, he’s a long-shot to headline UFC 236 at this point. Valentina Shevchenko, despite her availability and flyweight championship, is also probably not going to main event UFC 236. A co-main event would make a lot of sense, though. It sounds like Jessica Eye will get the next shot at Sheva, and UFC 236 would fit as a landing spot for the matchup. If Amanda Nunes is ready, she could fill the top slot in April, and Cris Cyborg sounds game for a rematch for the featherweight belt. If that were to happen, the matchup would make more sense at UFC 237 in Brazil the following month. Should that bout not work out, Holly Holm has recently thrown her name into the ring for the bantamweight championship. 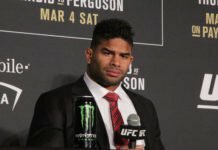 The former 135-pound title-holder would prefer to fight for the bantamweight belt, but could realistically fight for either of Nunes’ current championships. First, she has a matchup with Aspen Ladd at UFC 235 in March. That puts Holm out of the running for a title fight return in April. But don’t rule out a Nunes-Holm title-bout sometime in 2019. 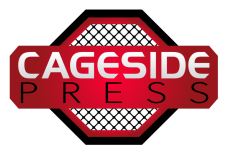 Let us know who you’d like to see headline UFC 236, and who you expect to main event April’s pay-per-view! 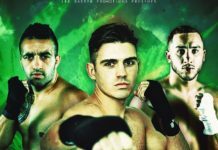 The promotion has plenty of options, and with a little creativity, could deliver a can’t-miss bout atop the card. Share your thoughts below, on Facebook, or reply on Twitter!